Getting the right content is obviously an important part of building good online training—but that’s not all there is to creating a complete project. Even the best content in the world won’t get the attention it deserves if it looks unprofessional and unappealing. Looks matter in e-learning courses! Color is an important aspect of any professional-looking, visually-appealing design. Different colors evoke different types of emotions. Like everything else you put in your course, you want to choose your color scheme intentionally to make sure it fits the context of your course. Whether they are aware of it or not, the colors you use in your e-learning will impact people’s assumptions about the quality and value of your courses. While you could spend a lot of time trying to learn the ins and outs of color theory, for most rapid e-learning designers that is neither realistic nor necessary. Fortunately, you don’t need to be a color expert or graphics pro to come up with great looking color schemes to use in your courses. Most people know a great color scheme when they see it, but struggle to create one from scratch on their own. 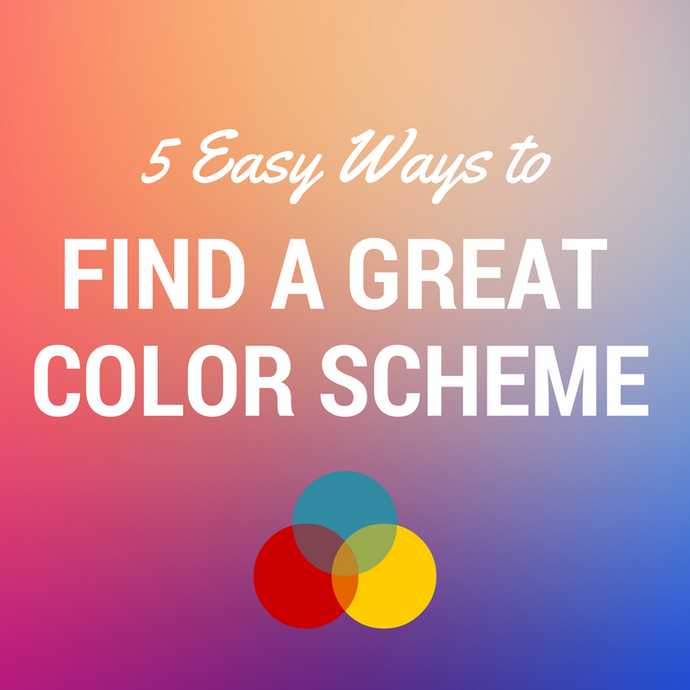 Here are 5 tools that can get rid of the guess work and make finding a great color scheme the easiest part of your project. Formerly known as Color Scheme Designer, this recently updated site is a dead simple way to generate a great looking palette based on the base color of your choice. If you’re looking for something that works well in a flat design, this site has a nice collection of the bold and bright colors that you see in most flat designs. 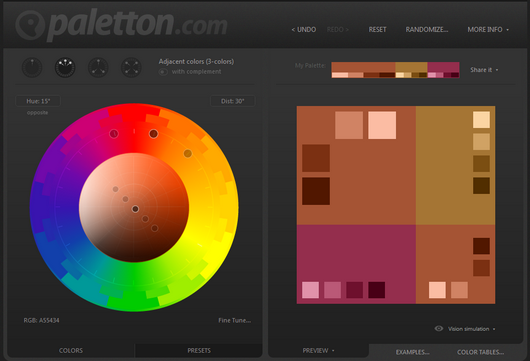 Kuler is one of the most popular color scheme tools and for good reason. With Kuler you can easily create your own custom color schemes, choose from thousands of existing themes, or generate a palette of colors from any image or logo. Color Hunter is a fun, flexible way to find a color scheme. Like others, this site can generate colors from any base color or image. What’s unique about color hunter is how it allows you to find color schemes based on plain English search terms like “corporate office” or “medical”. 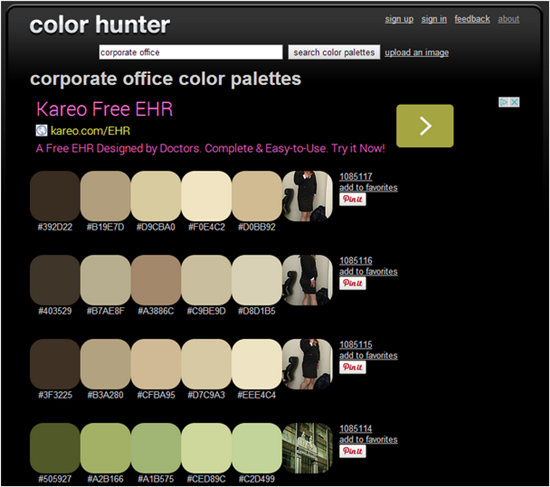 It does this by generating color schemes from images it finds on Flickr that match your search terms. If you’re looking for a little inspiration you’re sure to find something you like over at ColourLovers. 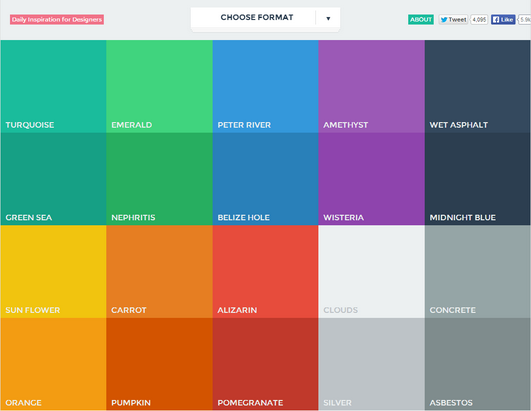 ColourLovers is a cool community of people who create and share colors, palettes and patterns. 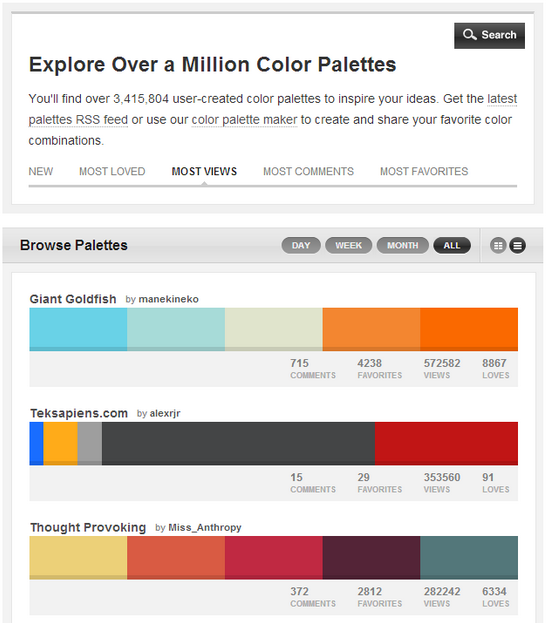 Check out the Trends section to keep up on latest color combinations being used around the web. Ultimately the decision is yours, but these cool tools can definitely speed up the process by guiding you towards great looking color combinations that work well together. How do you choose the colors you use in your projects? Share your tips and tricks in the comments below. Don’t forget to post your questions and comments in the forums! Remember, we’re here to help. For more e-learning tips, examples, and downloads, follow us on Twitter. These are brilliant indeed. Even a color blind hamster could create a beautiful color scheme with these! So many helpful options. Thanks for posting. These will definitely be used...starting today! Awesome! I was just looking for tools to select a color scheme. Thank you. @Debra - nice redesign! I actually started with yours first because it's simple and easy to understand. Then went back to look at the original, which was, as you pointed out, too busy and cluttered - very overwhelming. Thanks a lot indeed. I work with photoshop and it really helps me a lot to improve my knowledge in color combination. Excellent site that is for a designer to gets quick idea of any color and sometimes they/we can use directly. Indeed a very good article on colours with its proper usage. Since absurd colour or faded look can never give the desired traffic even how well written an article or picture can be. Using the correct mode helps in resolving colour issues to grab maximum attention. Yes, nice tutorial. It has been a great resource for me while working with color correction in Adobe Photoshop. Now it saves my time a lot. Thank you for the great suggestion.